Newly installed White House budget director Sylvia Burwell on Wednesday instructed all agency heads to prepare for a 5 percent spending reduction in budget submissions for fiscal 2015, on top of the 5 percent cuts already planned for the yet-to-be enacted fiscal 2014 budget. The memo solicits programmatic innovations that are “fully paid for” and reminds managers to use evidence and evaluation in policymaking, the topic of a future memo. It tells agencies that updated performance management strategic plans for achieving the president’s agency-specific priority goals are due by June 3. 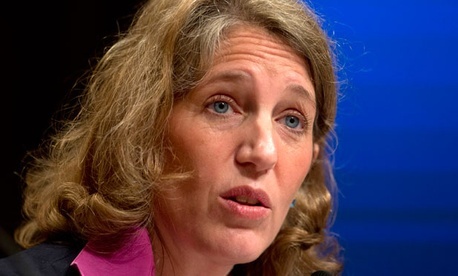 President Obama’s nominee to be Burwell’s No. 2 — Brian Deese — cleared the Senate Budget Committee on May 22. Deese is currently deputy director of the National Economic Council.